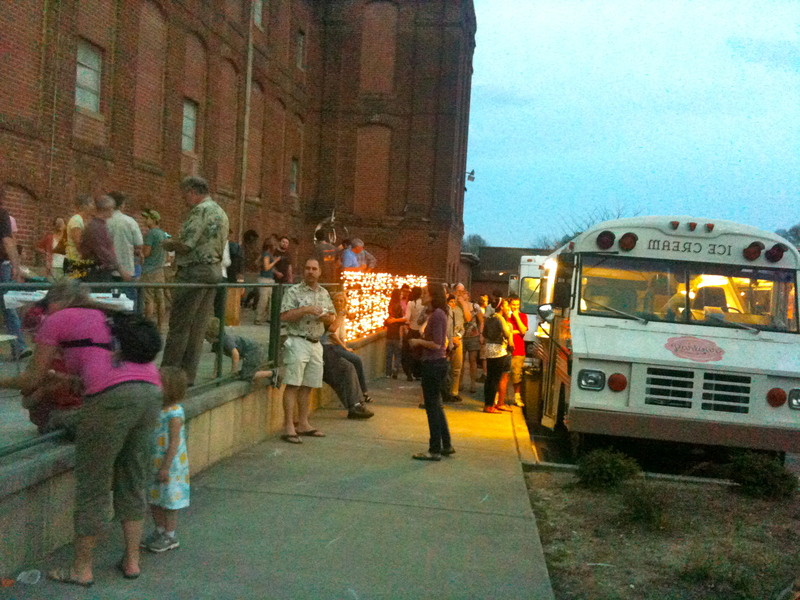 I’ve posted about Third Fridays in Durham before, they are always happening events, especially down by Golden Belt. 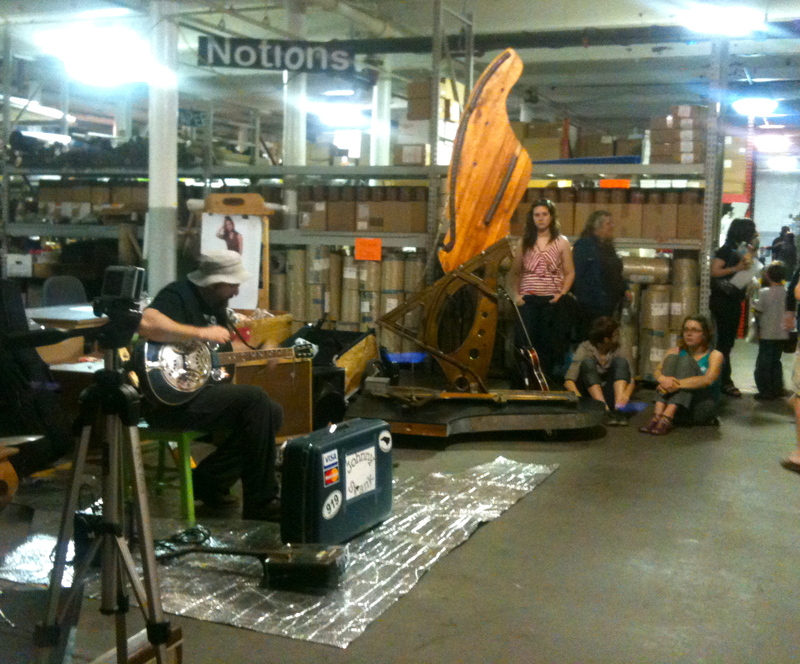 This past Third Friday was the Liberty Arts grand re-opening. Liberty Arts is a metal foundry and iron-working studio that was a Durham institution, until a set of violent storms last year caused its roof to collapse. Liberty Arts decided to move from its location near Central Park to a fantastic new space in the Golden Belt facilities. Their grand opening celebration on Friday drew a huge crowd. A number of food trucks, including The Parlour, Pie Pushers, and Only Burger, were on hand to keep everyone fed. The weather was unbelievably nice for mid-March, so tons of people were sitting outside. 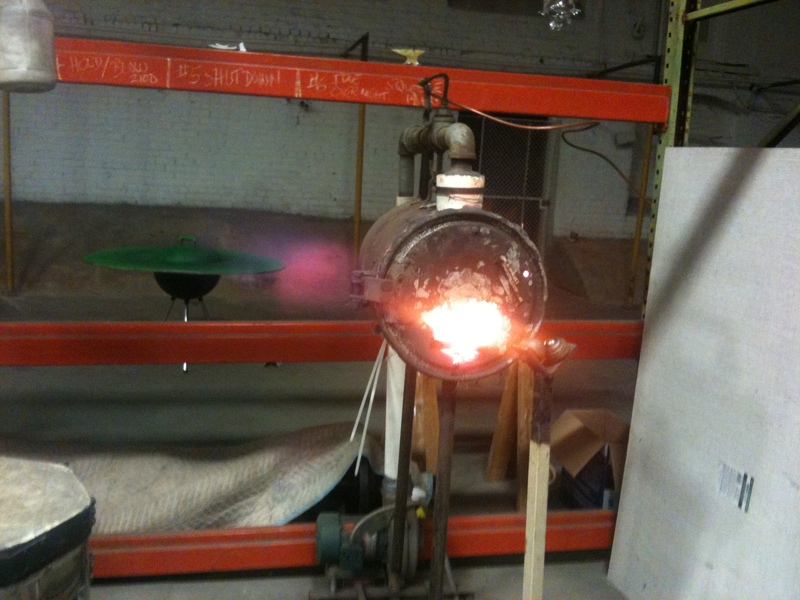 Lots was happening inside Liberty Arts: glass blowing, metal working, and other demonstrations. The artists also had lots of pieces hanging around to look at. 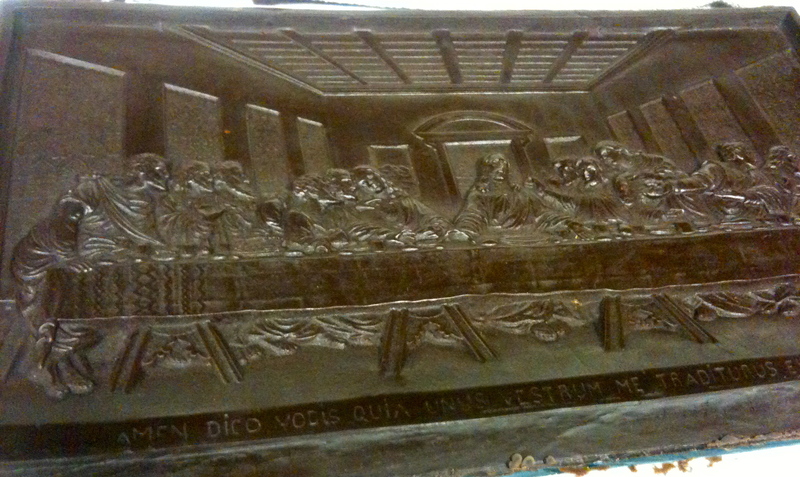 I particularly liked this big wax mold of The Last Supper, I thought it looked like a big chocolate bar. Durham’s own Luchadoras, the group of female masked wrestlers in the Mexican Lucha Libre style, were on hand in black evening gowns and sparkly masks. I saw a bunch of them roaming around the Golden Belt area, they weren’t there to wrestle, I think they were just enjoying a night on the town. Like I said, there was a lot of metal working and fire happening. 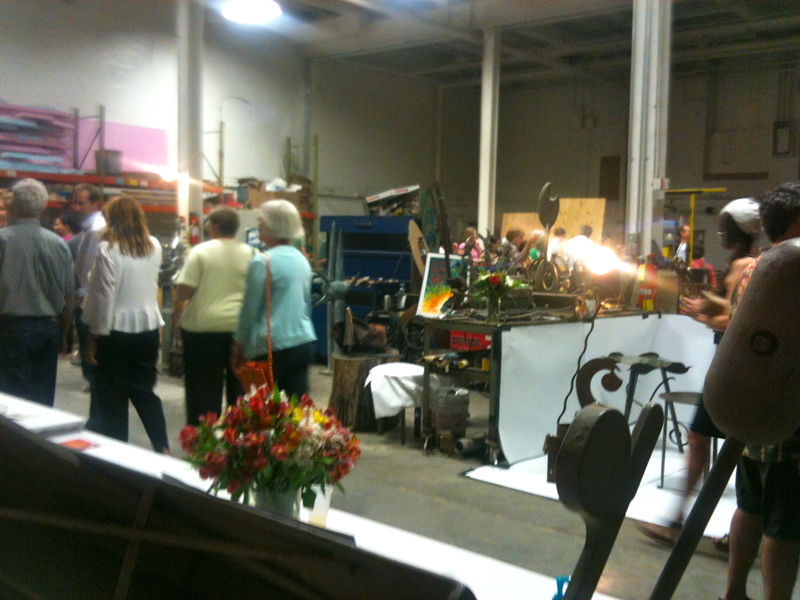 I then headed over to the Scrap Exchange, which has re-done its entrance and is reconfiguring its space. There was some music. 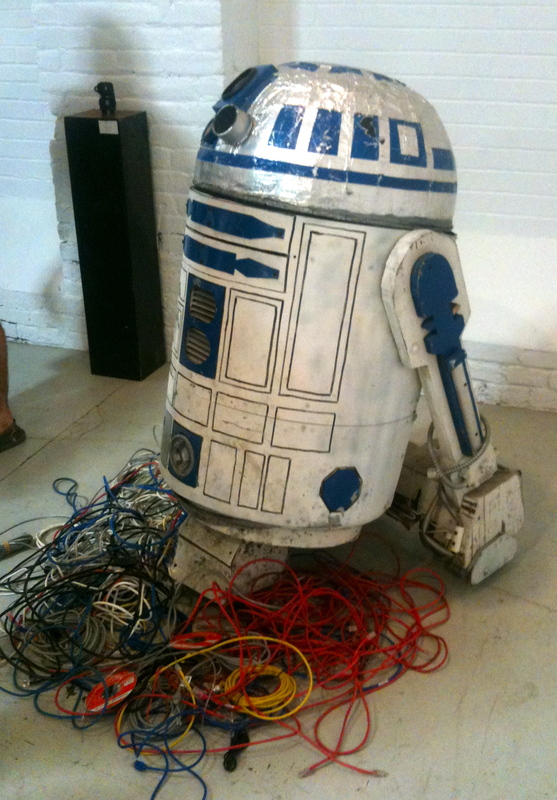 There was also an art show with robots, and it had some famous figures, like R2D2. 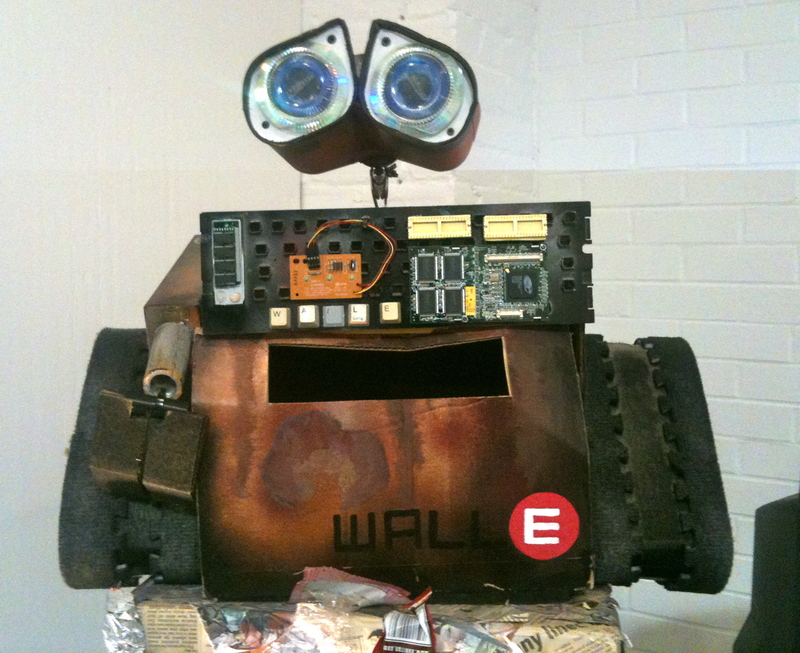 And a close-up of WALL-E. I also really like this veloci-crafter, but that’s just because I like dinosaurs and plays on words involving dinosaurs. 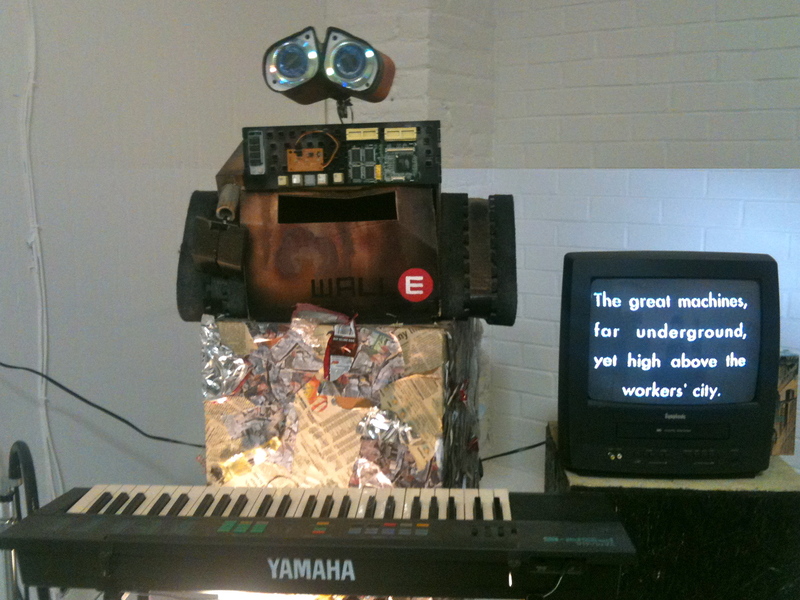 And, of course, there was great art on show in the Golden Belt studios and tons to do elsewhere in the facility! Always a fun time at Golden Belt on Third Fridays. The space that now houses Liberty Arts and The Scrap Exchange is now going by the name: Cordoba Center for the Arts. It is part of the same historic property as the Golden Belt buildings across the parking lot but is owned and managed by a different group. We are trying to get that name out there as a destination for art-centric activities in Durham and along with the two groups listed above we are also the home of ReUse Warehouse, a place to buy reclaimed and vintage construction materials, and have started opening up part of the second story to groups who want to hold theatrical and musical productions here. 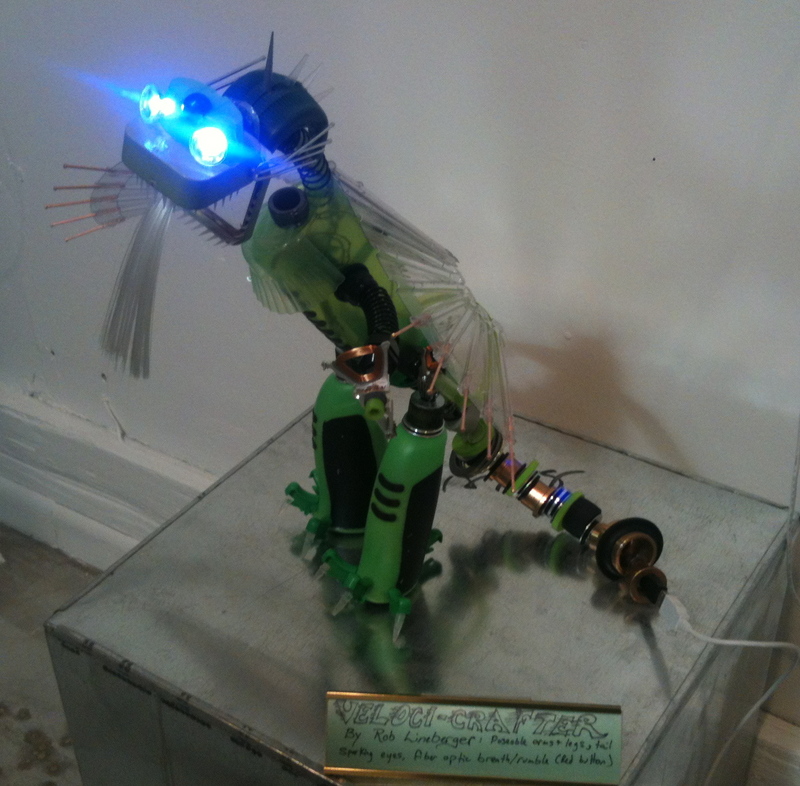 « I Am Published on the Hairpin!